Today, the widely read Times of Israel news outlet gave HonestReporting Canada space to take Twitter to task for giving the Hamas terror organization a platform to spew outright lies, hate and incitement to its over half a million followers and throughout the Twittersphere. To read our commentary at the Times of Israel, click here or on the image below. Our commentary can also be read appended below. Using Twitter as a megaphone to the masses, the Hamas terror organization spewed outright lies, hate and incitement to its over half a million followers and throughout the Twittersphere. 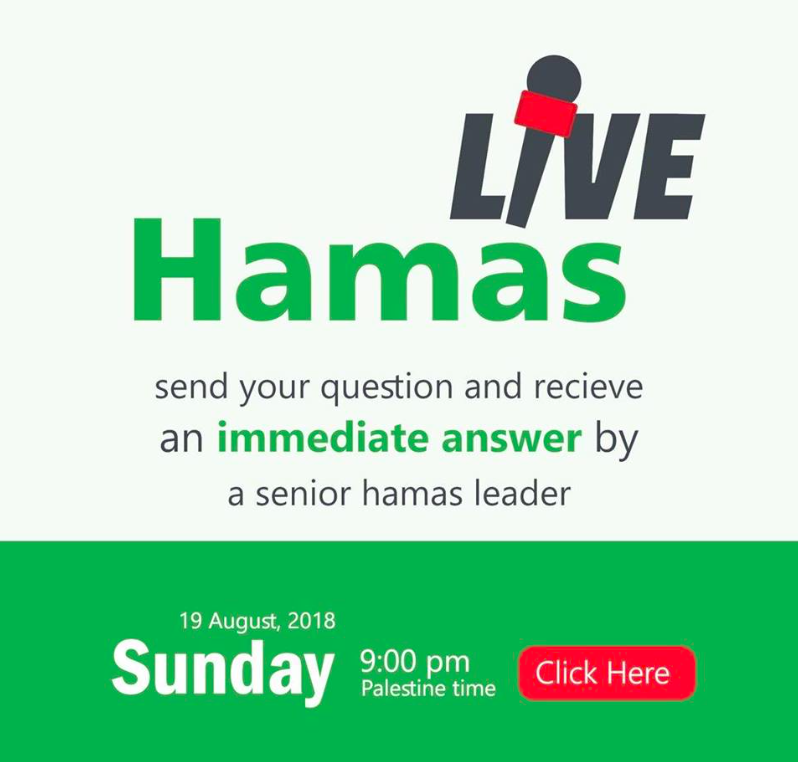 In this get to know your “friendly” local terrorist by way of this Q and A session, Hamas claimed it doesn’t fire rockets from civilian areas, despite the preponderance of evidence to the contrary and in the backdrop of Hamas’ firing over 200 rockets and mortars at Israeli civilians in recent weeks, a bona fide double war crime. This is just “Israeli propaganda” after all, according to Hamas. The terror group’s campaign of disinformation continued as it claimed it has “Jewish supporters from around the world…” and that it believes that “democracy is a tool for peaceful rotation of power.” This is from the same organization that is virulently antisemitic and is committed to the genocide of world Jewry. On the topic of Palestinian democracy, let’s not forget that the last Palestinian legislative election was 12 years ago! 1) Since you’re clearly all about transparency and procuring an open line of communications, would you be so kind as to turn your location settings on? Our good friends at the Mossad would love to make your acquaintance! 2) Where do you keep the billions of dollars of aid and tax dollars that you’ve stolen from the Palestinian people? Do Hamas leaders Ismail Haniyeh and Khaled Mashaal have a Scrooge McDuck money bin that you swim in somewhere in the #Gaza Strip? 3) You guys really excel at murdering gays, dissidents and alleged collaborators, targeting ethnic and religious minorities, journalists and #Jews. What’s your secret to success? 4) Can you please explain when have #Palestinians ever been sovereign rulers over any land? 5) Your BFF’s include #Iran, UK Labour Leader Jeremy Corbyn, the UN, unions, and elements of the mainstream media. Outside of your mutual shared antipathy for the Jewish state’s existence, what made you MFEO (made for each other) with these best friends of yours? 6) Inquiring minds wants to know, what happened to all the greenhouses that Israel left behind when it unilaterally disengaged from Gaza in 2005? 7) Since it’s 2018 after all, would you commit to hosting Pride Week in Gaza next year? 8) You depict Israel as evil incarnate and yet curiously, you send your own children to be treated at Israeli hospitals. Can you explain this apparent contradiction? 9) Summer camp is now over. What kind of fun games and activities did Palestinian children take part in at Hamas summer camp? Tunnel building? Rifle range? Learn how to throw a Molotov cocktail, build a suicide bomb, and how to go for the jugular when stabbing Israelis? We await Hamas’ reply with bated breath. In the meantime, back to Twitter. The social media behemoth has been criticized for giving proscribed terror organizations like Hezbollah, al-Shabaab, and Hamas material support. Organizations such as Shurat Hadin (Israeli Law Center) argue that this constitutes a violation of U.S. anti-terror laws as terror groups uses social media outlets for the purposes of recruitment, indoctrination, intimidation and to incite specific attacks.